Yesterday I had one of those “ah-ha” moments. An epiphany of sorts. Our team had determined that I was one of those “stones in the river,” impeding the process workflow around speaking and consulting. So here we were in a session involving our use of Salesforce.com and how data connected to our billing process could be improved and automated. You know that workflow — doing more with less, making processes more effective. In the process, I discovered how we could connect our Evernote for business (my absolute favorite personal productivity app) to Salesforce. When I went into one of our accounts, Evernote instantly found and recommended several relevant “notes.” Among them was a handwritten note from a conference I spoke at with instructions to send follow-up information. With the click of a link, it was now connected to this account in Salesforce, like magic. This would soon become the subject of my epiphany from my next conversation with our accounting team, which is in the process of going paperless, thinking about cloud accounting, and trying to free up their valuable time to help us support the changing business of our association. When I told them about our “Help Tom stop clogging up the river of workflow” meeting, they were talking about their paperless journey. They commented that we all have a tendency to take our current situation (what we know) and recreate it in the automated environment. They were talking about our electronic filing in our network, which was a recreation of the physical filing systems with the hierarchy and folders and such. We had paved the cowpaths. That is when it hit me. 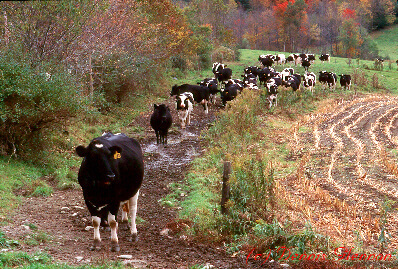 We had paved our cowpaths. The cloud and today’s newest technologies allow us to reimagine our work and workflows. Things are possible that we have never encountered before and we have to think differently, everyday. We have new tools and technologies that can create new superhighways that allow us to get to our destinations faster than ever. But to build those superhighways, we have to work together to understand where we are and where we can go. Then my “social” friend Rumbi tweeted, “it is indeed the year of the #Post-It. @NewTechCity went low tech to get productive! ow.ly/uqONB” and the insights kept coming. This reminded me of our own MACPA team experience with the Lean4CPAs guru Dustin Hostetler at Flowtivity, who taught us a lot about lean and our association. Here is Bill’s recap of that experience: A new take on lean: It’s all about serving clients. The cloud is an enabler. Go low-tech with sticky notes and #MBSN to kick start your efforts. In closing, Reason No. 423 of why I love social media: The student becomes the teacher. This post was inspired by a friend I met at an AICPA Business Valuation Conference in my social media class. She wrote up a blog post (“Use social media, don’t let it use you“) and applied what she learned. Now I get inspiration and insights from her. Thanks for sharing, Rumbi (follow her @TheFstudent)! Remember, resist the urge to pave your cowpaths and 2014 is the year of the sticky note!